California Highway Patrol officers often see adults with some pretty bad parenting skills. One example: drivers charged with DUI in Los Angles who carry their children as passengers. It happens all over the country. In Minnesota, for example, police recently responded to a call from concerned parents at Scenic Heights Elementary School. They watched as one mother, 55-year-old Kelly Ann Bellanger, dropped off her two children at school and displayed signs of being under the influence. She reportedly slurred her speech and swayed when she tried to walk. When police arrived on the scene, Bellanger couldn’t roll down her window, mistaking the door lock switch for the window control. Not too surprisingly, Bellanger allegedly flunked the sobriety test. 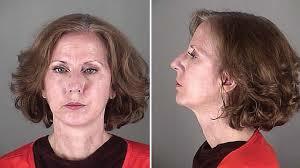 Police found she had a blood alcohol content of almost three times the legal limit. Bellanger even admitted to drinking half a glass of wine before transporting her kids to school, although she said it had been two hours earlier. Bellanger faces charges of DWI with aggravated factors, which includes child endangerment. Occasionally, however, a child gets the opportunity to turn the tables on the DUI parent. In Kearney, Nebraska, a 13-year-old girl alerted police officers via text message when her father took her and her 12-year-old brother for a ride while he was under the influence. When officers caught up with the vehicle, they found the father’s blood alcohol content measured .224, almost three times the legal limit. Fortunately, the girl and her brother didn’t suffer any injuries. Like most other states, California has little tolerance for parents who risk their children’s lives by driving under the influence with passengers in the vehicle. According to Vehicle Code 23572, the judge can impose additional penalties, including up to 90 days in jail, if the court convicts someone of driving under the influence with a child under 14 in the car.